Provide comfort for the family of William Nutting with a meaningful gesture of sympathy. William “Bill” W. Nutting, 80, passed away on Thursday, March 28, 2019, at MaineGeneral Medical Center after a brief illness with his children by his side. Bill was born in Augusta on March 26, 1939, the son of Everett Nutting and Anna (McLaughlin) Nutting Folsom. Bill graduated from Cony High School in 1957. 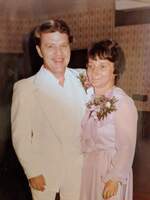 He married his high school sweetheart, Donna (Whitney) Nutting on November 2, 1957 and together they celebrated 57 years of marriage and raised four children. Bill served in the United States Army for 3 years and was stationed at Fort Dix and Fort Monmouth both in New Jersey, and Fort Huachuca in Arizona. After returning to Maine, Bill worked at Mutual Lumber for 10 years and then worked at Hammond Lumber for 36 years. He designed houses but his passion and specialty was designing kitchens. Many remembered him as the man “who designed their kitchen”. Bill was also a Little League coach and he enjoyed working with kids teaching them all there was to know about baseball. He hosted a few kids during championships and those kids, who are now adults with their own kids, have kept in touch with him. He was also an avid bowler and played in leagues for years. In his retirement, he watched Bob Ross videos and found he had a natural talent for painting. He shared many of these painting with family and friends. Gardening, golf and woodworking were other passions of his. Bill was known for having a huge garden and always shared his abundance with others. Bill was a wonderful husband, father, grandfather, great-grandfather, friend, and neighbor. He was a great influence to many people throughout his lifetime. He was always willing to lend a hand to help anyone in need or take them under his wing and teach them what he could. 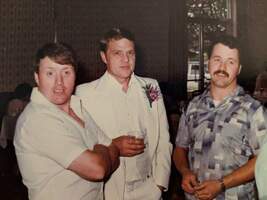 Bill was predeceased by his parents, wife, Donna, son-in-law, Normand Lapointe, brother-in law, Dennis Whitney, and sister, Valerie (Nutting) Tilley. He is survived by his son, Scott Nutting of Augusta, his daughter Brenda Short and partner Gary Towle of Rye, NH, his daughter Lynn Rodrigue and her husband Scott of Beavercreek, Ohio, his daughter Lisa Lapointe of Vassalboro. His grandchildren, Amanda Short, Lindsay (Short) Richards and husband Craig, Mallory Nutting and partner Jimmy Clark, Jessica (Rodrigue) Trick and husband Ben, Matthew Short and partner Megan Wooley, Ryan Rodrigue, Roger Lapointe, Will Nutting and Andrew Lapointe and wife Alexandria. His great grand-children, Landon Nutting, Mila, Elena and Naomi Richards, Madeleine Short, and Abigail and Madison Trick. He is also survived by his siblings, Everett (Butch) Nutting and wife Myra, Dennis Nutting and wife Dashay, Shirley Gosselin and husband Carl, Francis Folsom, Henry Folsom, Jeanne Nicholas, and friend Joline. The family would like to say a special thanks to Dr. Dohner and Sue Folk of MaineGeneral Palliative Care as well as the rest of the staff at MaineGeneral for the wonderful care and support they gave our father. Visitation will be Thursday, April 4th from 6:00 to 8:00 PM at Plummer Funeral Home, 16 Pleasant St., Augusta. A Mass of Christian Burial will be celebrated on Friday, April 5th at 11 AM at St. Mary of the Assumption Catholic Church, Western Ave., Augusta. In lieu of flowers, donations can be made in Bill’s name to: Kennebec Valley Humane Society, 10 Pet Haven Lane, Augusta, Maine, 04330. Burial will be later in the spring. Provide comfort for the family of William W. "Bill" Nutting by sending flowers. My Loving brother Bill .how my heart breaks with you gone...you was always there for me and know you in a better place now with Donna ...R,I,P Bill you will never be forgotten...your the best God ever made..